I'd like to take you on an imaginary trip and introduce you to Greg Mortenson. This is the story of his unlikely journey from world class mountain climber to the founder of schools for girls in one of the poorest regions of the world. Three Cups of Tea tells how, in 1993 after failing to summit K2 in northeast Pakistan, Mortenson stumbles into a village off the beaten path and is warmly welcomed. When he awakens the next morning his course of life has been unalterably changed. The village leader shows him the children of the village at "school" on a barren cliff, scribbling their notes in the dirt. Dr. Greg, as he comes to be known, promises to return and build a real school. He eventually does build the Korphe school, and over 50 more across the highest mountain ranges in the world in eastern Pakistan and Afghanistan through some of the craziest times - 9/11, the Taliban, and the US invasion of Afghanistan. The story is masterfully told and the insights it brings about the Muslim peoples living in this region and the politics there are priceless. I only wish I could have read it earlier! 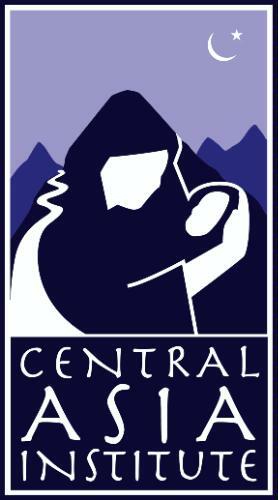 You can find out more about the organization, the Central Asia Institute, at their website. Oh, and before you click on the direct book link in the third paragraph, consider buying the book through the CAI website where they will get 7% of the proceeds to continue their work! I'm joining a book group (or at least trying it out) and this is the book they chose for this month's discussion. It also won the nonfiction 2009 Puddly (the award from Powell's Books). I'm only kind of looking forward to it, though, in spite of the high praise it's received, and I'm not sure why that is. Maybe it has to do with other people picking what I read. Thanks for commenting at 5 Minutes for Books. I enjoyed reading your review as well! I have read about this book in several magazines and I am definitely going to read it!